The Dark Days Of Leadership; What Makes You Stand Out!! Leadership is a concept that is natural and everyone irrespective has it in a way that makes him or her unique among others. It is the core of any organization and to some extent, it determines and shapes the goals and values of the organization. Leadership whether in an organization or within the individual is the foundation for development and need not be taken lightly. If leadership is inborn, why do people still act ignorantly? Or those call leaders know the way but refused to go the way? In fact, all business owners and executives have varying experiences and perspectives on the approach and qualities necessary for effective leadership. And not all situations require the same type of leadership style. Great leaders adapt to their surrounding environments and empower the team to succeed together. This shows that, even though, leadership is inborn, we still need to learn and change our ways about how to lead. Therefore, everyone was born a leader but not everyone is a good leader. Leadership is a conscious efforts and need to be taken as a serious business. Many experts across countless leadership books and articles agree on certain principles required for leading a team to greatness, but when it comes down to it, the most important factor is whether or not the leader is getting the job done. 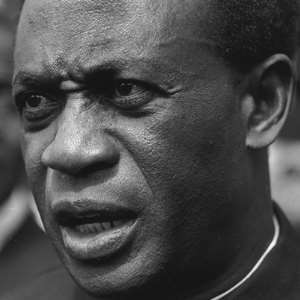 In Ghana we have had several leaders who have led us towards development but we can attest that, the all had their styles and approach in leading their subject. The two basic unit of leadership is vision and mission. These two keeps leaders in good shape and show them the mechanism to take towards greatness. My philosophies on leadership have evolved over time through research, experiences as a political analyst and from my successes and failures in the leadership roles I have played in the who of my life. I believe that the best leaders are passionate about developing the emerging leaders around them, they constantly work to improve their emotional intelligence and know that a strong team culture is the foundation for accomplishing the mission. They are in a perpetual state of preparation and embrace the inevitable changes their businesses will face. For the purposes of this write up however, I wanted to get other business leaders’ perspectives by having them answer one question: In your opinion, what makes one a great leader? This is the question we should always ask ourselves every day and try as much as possible to find an answer to it. I would like to propose to you some of the factors that makes one a great leader and below are some of those factors when properly followed can transform you and make you a great one in the future. Leadership is about team work because if there are no subjects, who would you lead and how do you lead and the factors proposed are based on team leadership. It’s a mix of a lot of things, but first and foremost it’s about having faith in your beliefs. You can’t expect others to consider you a leader unless you have solid faith in your ideas and plans. And once it’s there, you build on it by being a good communicator, listening to others, setting examples and by putting your best foot forward and not giving up. Leadership is all about being passionate about what you do, and having confidence in yourself and your followers whom you have to motivate and inspire. It is believed that readers are leaders and good leaders are the listeners. Therefore, to be a great leader, you need to read wide and keep yourself abreast with current issues so that it does not affect your belief. Great leaders make the hard choice, and self-sacrifice in order to enhance the lives of others around them. As a business owner, not only does your family rely on you – so too, do the families of those who work for you. Each employee has a family. Even if you’re a small business owner with four employees, you’re in essence potentially responsible for an additional ten or fifteen people. Therefore, to be a great leader, try as much as possible to take hard decisions…note, hard decision does not mean, decisions to punish others but decisions to correspond to the change nature of social issues. Most problems that affect societies are very complex and would require a determine leader for that. Having the ability to show respect, empathy, and care to those that follow you are all attributed to being a great leader. Earning respect is crucial to a successful relationship with someone, while also showing that you care about their work or ideas. Being empathetic allows a leader to tap into the emotions of that individual in order to connect in a way that lets that person know you understand what it means to be in their situation. Combining all three of these traits can definitely make someone a great leader. These are things I work on constantly with my team, all in order to become a better leader to those I care about. For instance, when I acted as the programs and activities coordinator for the MasterCard Foundation Scholarship Programme at KNUST, I earned lots of respect because I cared so much about their inputs and always considered them first before an activity is planned or forced on them. I used to do room by room visitation to check up on fellow scholars about their wellbeing. When you do that as a leader, the subjects accept you wholeheartedly and obeys you in whatever you say or plan and that is the spirit of good leadership. A great leader understands that it is the people they lead that ultimately determines the success or failure of any venture. They surround themselves with great people that they can cultivate into a team of competent, confident individuals who can work well as a team. They then have the ability to guide this team towards a well-defined vision by clearly communicating short and long terms goals, inspiring confidence and trust among colleagues, and influencing common efforts through character rather than by a position of authority. Ultimately, a great leader creates and nurtures other leaders. Most leaders in Ghana faced this key factor because they fail to understand that the citizens are very important in their success. They do not involve their citizens but always want to do everything for them. Therefore, a great leader is one who considers those he or she leads. A great leader possesses a clear vision, is courageous, has integrity, honesty, humility and clear focus. He or she is a strategic planner and believes in teamwork. Great leaders help people reach their goals, are not afraid to hire people that might be better than them and take pride in the accomplishments of those they help along the way. Great leaders have clarity of purpose and are great at articulating their beliefs. I aspire to be the kind of leader that pushes people to be the very best they can be but still make people feel safe because it starts with the heart. A great leader is one who does not envy anyone and does not amass wealth to themselves but push others alongside-thus, as they grow others to grow. This substantiate the saying that, “when we think alike, it means there is no thinking and the world would be a better place for all.” This shows that, we as a leader, you push everyone to be like you, there would not be any pressure on you. Great leadership is determined by one’s periodical blend of personal humility and unparalleled will to lead others in service of a cause bigger than themselves. Great leaders are incredibly ambitious, but never for themselves. Rather, they are ambitious for the company and possess the will do whatever is necessary in service of this greater cause. Someone who leads by positive direction and builds agreement among its group members towards the accomplishment of a coordinated goal. Ultimately, leadership is not about who is in charge. It’s about making sure your team stays focused on the goals, keeping them motivated and helping them be the best they can be to achieve those goals. This is especially true when the risks are high and the consequences matter. A great leader does not lead by forcing people to follow. Instead, a great leader motivates and encourage others to follow them as the lead. They also lead by example, which few leaders do today. This means that, a great leader is one who actions in the course of leading inspires others to follow suit. Being an effective leader requires constant focus, perseverance and building a team that is accountable and designed to get results. Without the team there can be no real leadership. Therefore, never coerced or compel anyone to follow your orders. These ten unique perspectives provide great insight while also validating certain commonalities. Many of us in leadership or management positions know what we need to do to be better leaders, but we just sometimes fail to act. Being a great leader requires constant personal and professional development, regular transparent feedback from the team, self-reflection and taking action on feedback received. Great leaders are rarely satisfied with their performance.